Vietnam used to export traditional medicines, from the 1060s-1970s, but it is now entirely dependent on imported materials to manufacture drugs. Meanwhile, some rare species of herbs have been on the edge of extinction due to brutal exploitation, the topic of discussion at a meeting on May 30 in the southern province of Binh Duong. Deputy Prime Minister Nguyen Thien Nhan presided over the meeting attended by leaders from the ministries of Health, Agriculture and Rural Development, Science and Technology, Industry and Trade and managers of pharmaceutical joint-stock companies. Deputy Health Minister Cao Minh Quang said the World Health Organization listed 200 herbal remedies found out in the country in 2009, yet Vietnamese people only used 50% of their herbs, compared to that of 90% in neighboring China. Moreover, only 1% of traditional pharmaceutical companies meet the requirement of the Good Manufacturing Practice, Quang said, adding that it means most of producers are private households, which fail to meet hygiene standards and use imported Chinese materials with unclear indication of origin. The vast majorities of species harvested directly without planning, are partly responsible for the declining populations of several valuable species. 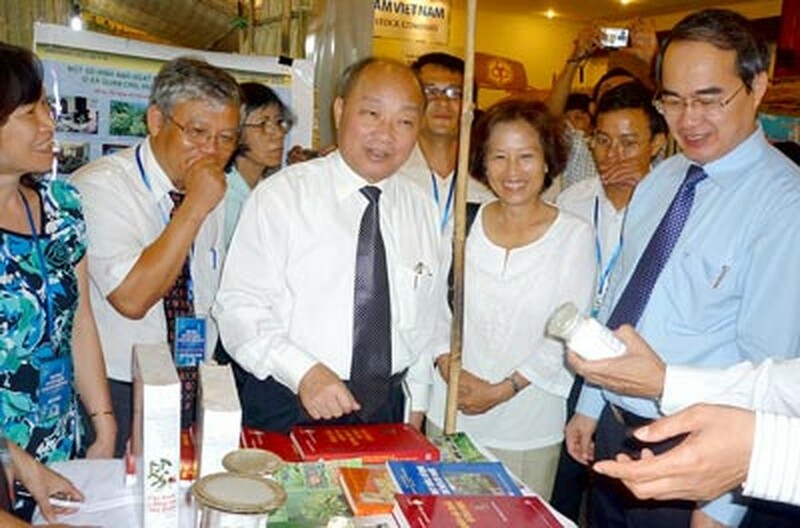 According to currently available data, some medicinal plant species are nationally listed as rare or threatened within the Vietnam Red Book List, said deputy Agriculture and Rural Development minister Bui Ba Bong. Agreeing with Mr. Bong is Nguyen Tien Hung, director of Vimedimex Pharmaceutical Joint-stock Company, said the company wants to make cheap medicinal drugs but the resources necessary for production are depleted. For instance, a population of pine power gold, a precious medicinal plant, and discovered two years ago in the highlands province of Lam Dong, was destroyed after just one month. Now, it is difficult to replant since there are no breeding seeds. Vietnam has been successful making herbal treatments. For instance, OPC Pharmaceutical Join-stock Company makes Kim Tien Thao-Jinquiancao, proclaimed as an herb that is very effective in the treatment of urinary stone diseases. Not only useful in making drugs, herbs also bring profits to residents of the northern mountainous provinces of Lang Son, Quang Ninh, Cao Bang and Bac Kan, who earn a living by farming the Illicium Verum plant whose acid shikimic is used to make the drug Tamiflu, used to fight bird flu and the H1N1 virus. Despite its high economic value, no plans have been adopted to grow the medicinal plant for local use. Rather, farmers harvested the plant unsupervised and sold to China. Participants of the meeting proposed to work out a special policy for farmers who plant herbs with good consumption plans and making more drugs from medicinal plants. Deputy Prime Minister Nguyen Thien Nhan ordered two ministries of Health and Agriculture and Rural Development to search for rare herbs in the country and called on the Ministry of Health to cooperate with the local government grow herbs in a sustainable fashion. 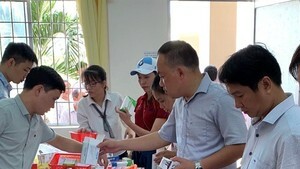 Medical workers of the Medicine University in Ho Chi Minh City yesterday arrived in Ca Mau Province in the southern tip of Vietnam to provide gratis check-up and drugs to poor residents in communes Hoa Tan, Hoa Thanh and Dinh Binh.